Zahler’s PureBerry is a liquid red raspberry leaf which strengthens uterine tissue and muscles. Red Raspberry (Rubus idaeus) contains the alkaloid fragrine, which relaxes certain pelvic muscles and promotes uterine health. Red Raspberry also contains flavonoids including quercetin, tannins, polypeptides, vitamin C, iron, and other nutrients. Zahler’s PureBerry is Certified Organic and verified to be pesticide free and of the highest quality for color, nutrient density, and flavor. Manufactured and bottled in a state of the art GMP and NSF certified facility. Supplement is suitable for Vegetarians and Vegans. 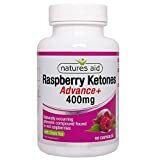 Per 2 capsules: Raspberry Ketone 800mg & Green Tea (Camellia sinensis) Leaf Extract 70mg.